I've not really tried much from Mavala before but they stock loads of shades in their collection which are forever growing. I've looked at the polishes before so I was pretty excited to acquire some of the Chilli and Spice Collection. Inspired by travels in "far off lands" forming a collection of vibrant hues which will be perfect for the summer. 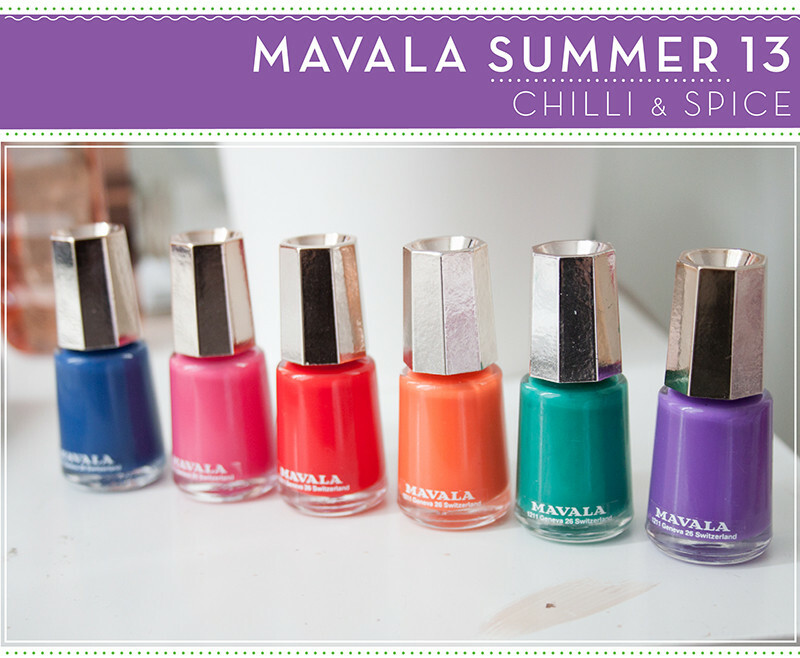 Mavala nail polishes come in half the size of most typical nail polish sizes at just 5ml. However I quite like this. I know I'll rarely go through a whole nail polish (although I have on Models Own Utopia!) there really is no need for such large polishes. The bottles are quite small but I found the brushes easy to hold and the brush applies the product evenly. 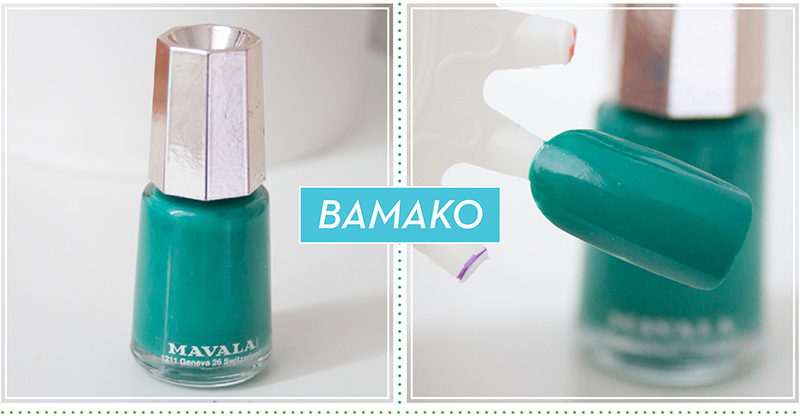 Mavala Bamako is my personal favourite from the bunch and I've actually painted my nails twice in this shade since I got these last week. It's a pretty emerald green with nods to turquoise and blue going through it. Surprisingly I didn't own anything similar to this shade so I was very impressed with it. 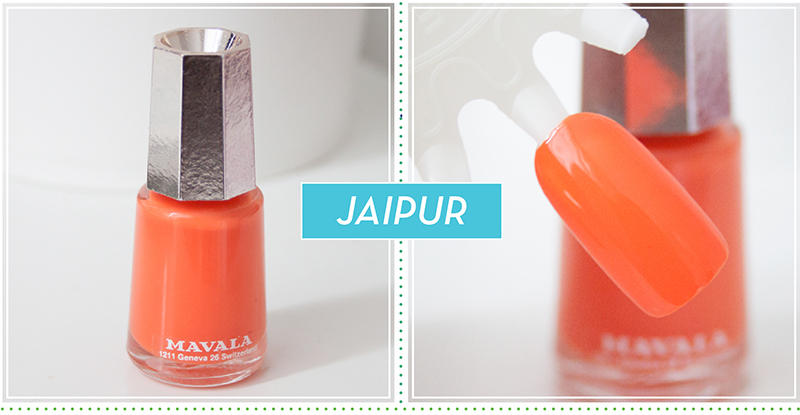 Mavala Jaipur is a typical bright orange with a creme finish. 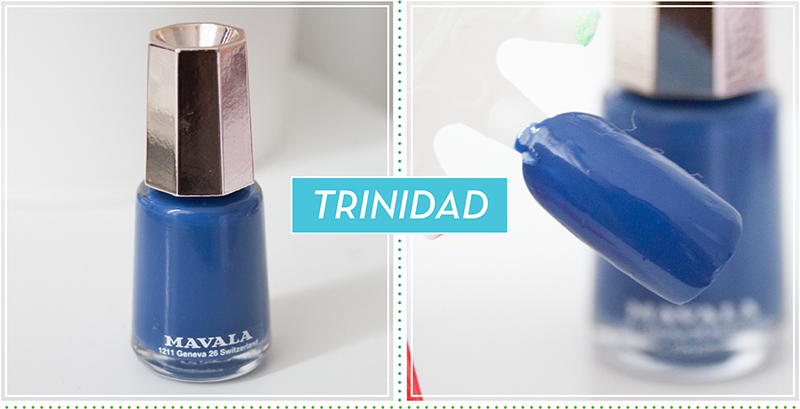 Mavala Trinidad is a strange shade for a summer collection as it's a darkened muted blue navy shade. It fits well with the overall collection but I'd probably expect something a littler brighter for summer. It is very nautical though so I suppose it fits. 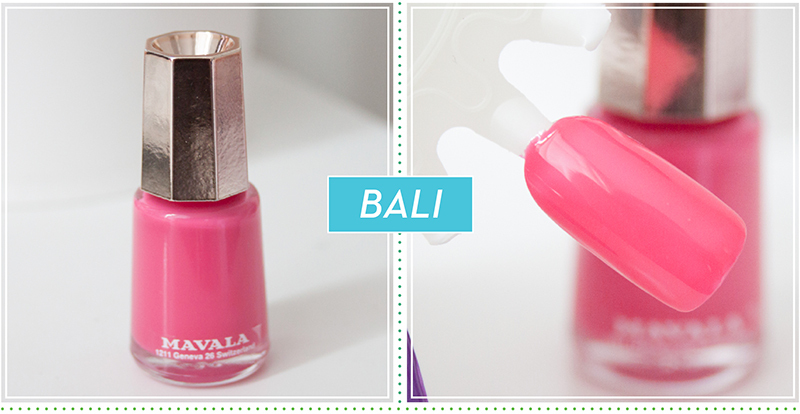 Mavala Bali is a bright pink, again kinda stereotypical for a summer collection but it is a lovely shade. 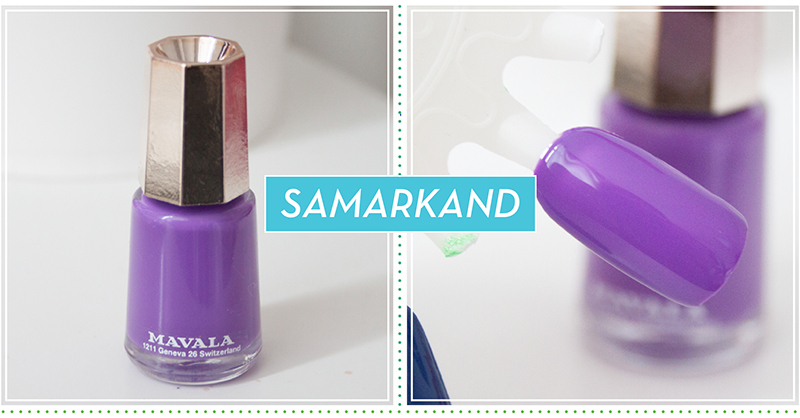 Mavala Samarkand is a really lovely purple shade. I've never really got into darker purples as I tend to go for lilacs but there is something about Samarkand that makes me think it would be perfect for a holiday. 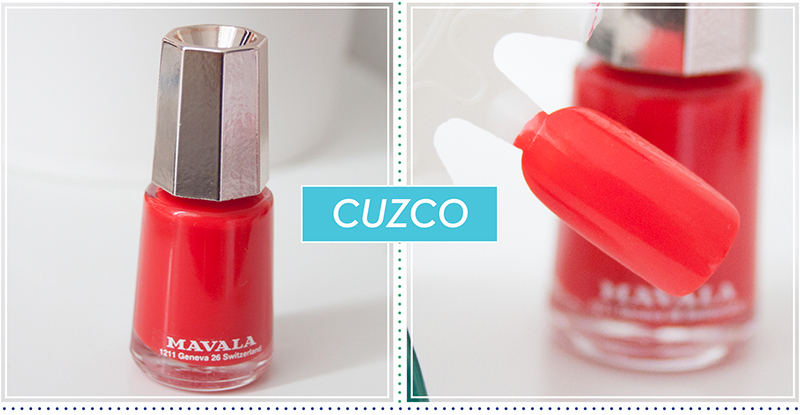 Finally Malvava Cuzco which is a really nice apple red. In all I love a few of the shades and like the rest. 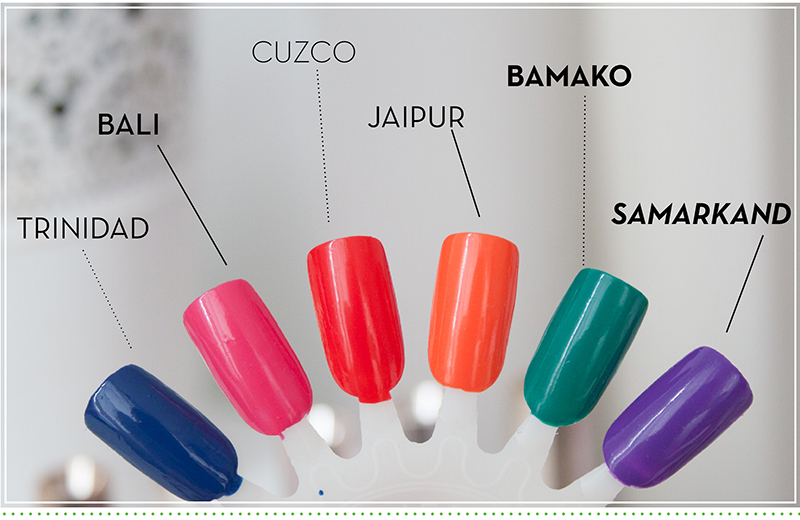 I think Bamako, Cuzco and Samarkand are my personal stand out shades while the other three in the collection are fairly forgettable. 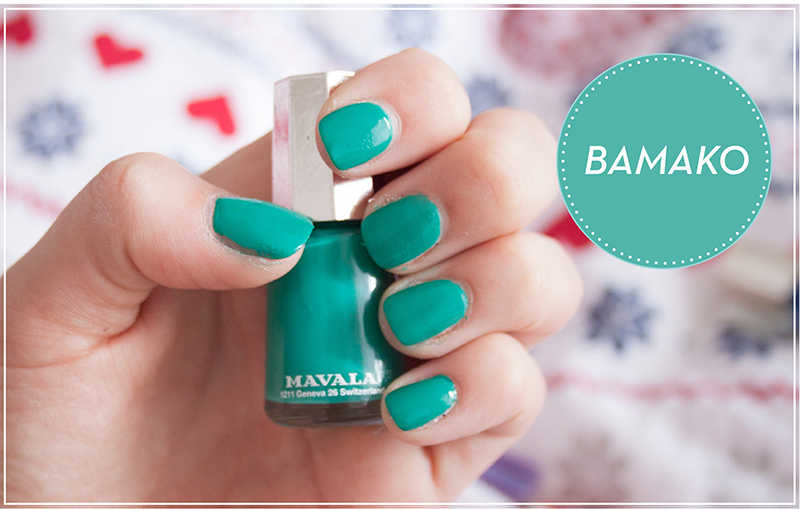 Bamako will definitely be gracing my nails over the next few months as it is a unique and wonderful shade. While you are getting less product than other nail polish brands for the same sort of price I feel it's less wasteful and you are more likely to use a bottle up. You can purchase them from Boots, Debenhams or John Lewis or online and retail for around £4.50.